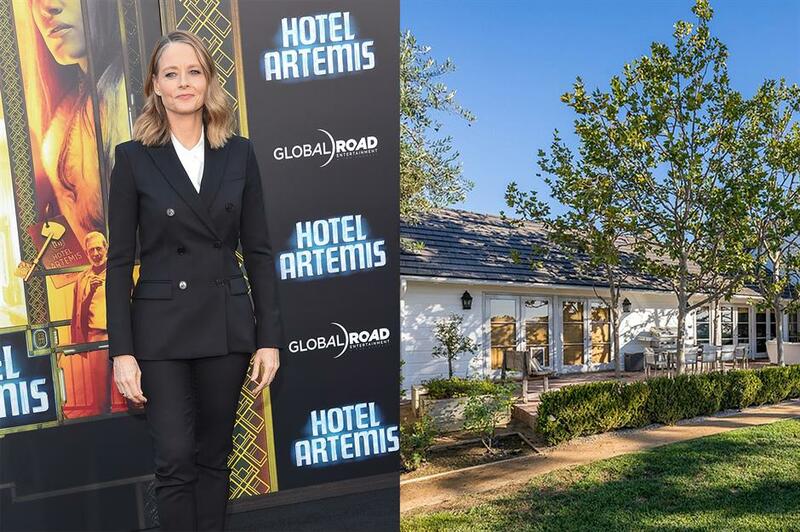 Jodie Foster has put her secluded home in the mountains above Coldwater Canyon, Beverly Hills, up for sale at $15.9 million (£11.9m). 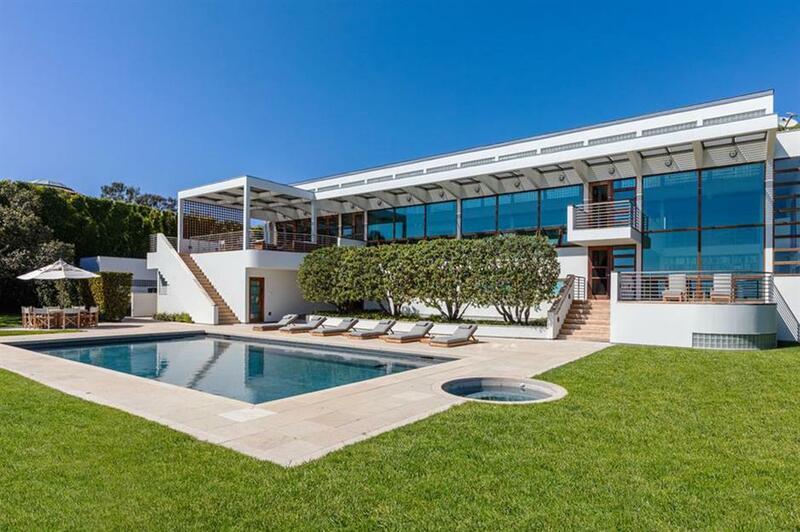 The Oscar-winner bought the property seven years ago for $11.75 million (£8.9m). The recently updated home sits on more than one-and-a-half acres of land and is spread over two storeys with five bedrooms and five bathrooms. 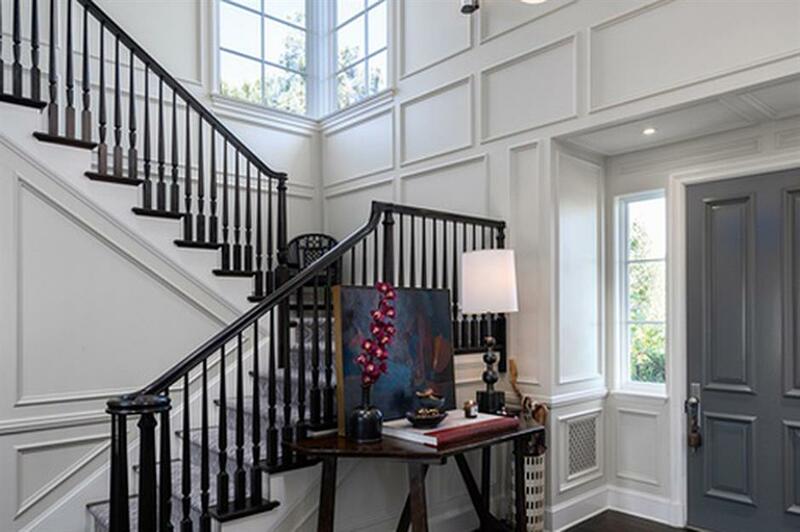 The double-height centre hall, with its dark wood staircase, leads to the generously sized living room. Featuring a grand open fireplace, the living room is flooded with light by the trio of French doors that open out onto the brick terrace. The classically panelled walls are all painted in the same relaxed shade of off-white, which matches the modern furnishings. 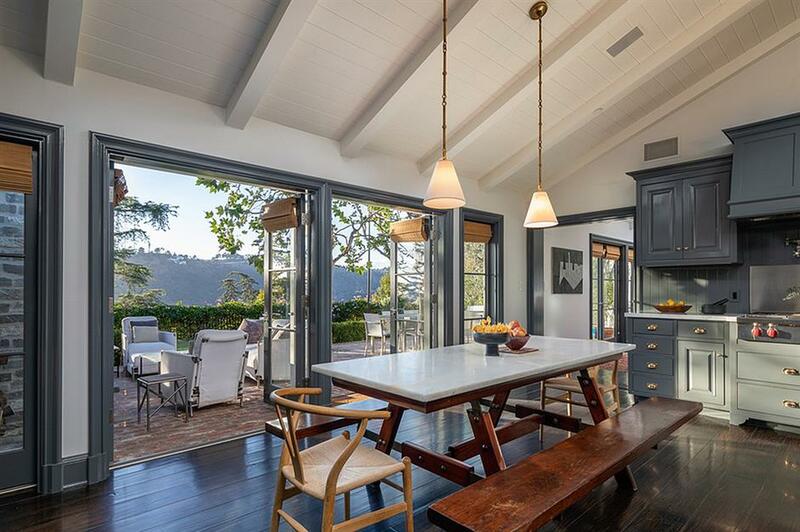 Sitting under a vaulted ceiling, the kitchen is open-plan with the dining area. The steel-grey cabinets are finished off with on-trend white marble countertops. A casual picnic table has also been topped with marble to make a fun breakfast spot, perfect for admiring the beautiful view through yet more French doors, which open out onto the sunny patio area. On the first floor, the bedrooms are connected to a decked balcony, which overlooks the canyon with panoramic views through French doors. The garden's main feature is a huge rectangular swimming pool, which sits next to the generous stretch of lawn. The whole property is safe and secure at the end of a gated driveway. Can't get enough of those vistas? Check out these mountain homes with majestic views. 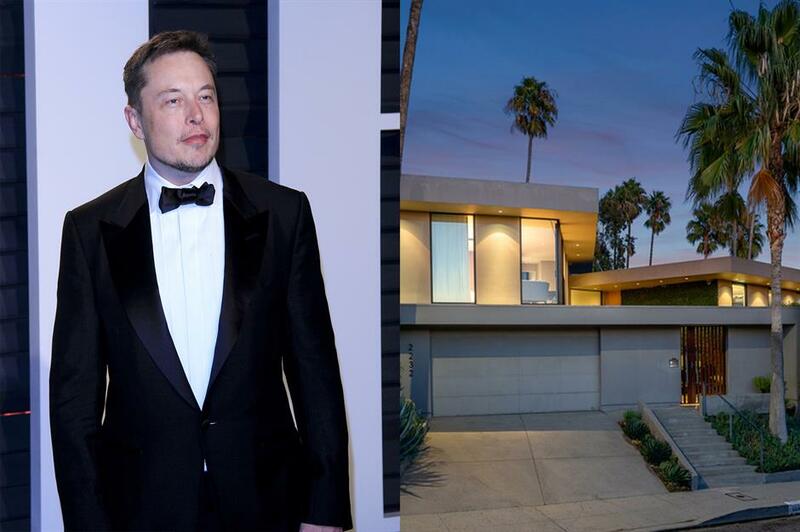 Tesla co-founder, Elon Musk has put his mid-century home on the market for $5 million (£3.76m). The entrepreneur and his ex-wife Talulah Riley bought the home back in 2014 for $3.69 million (£2.8m), so are set to make a hefty profit on the sale. 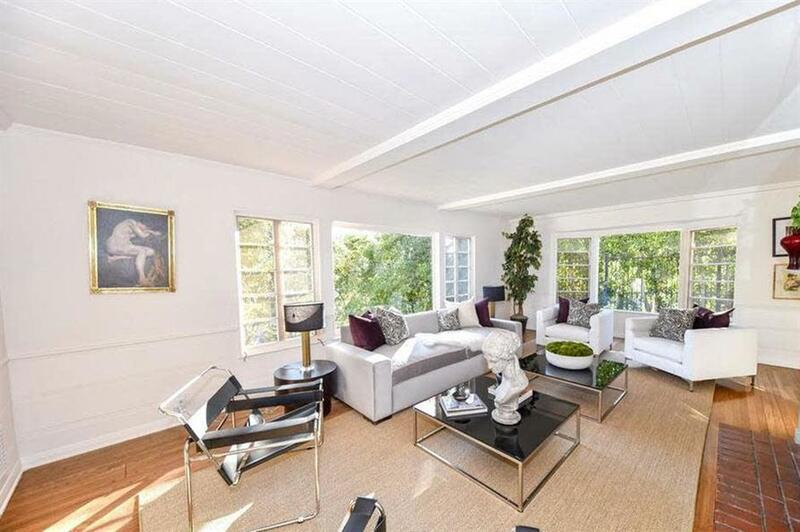 The hi-tech mansion has 3,000 square feet of floor space and four bedrooms and three bathrooms. The open-plan living space has been decorated in neutral colours, with a quirky stand-out orange sideboard and turquoise table lamps adding some bright colour. 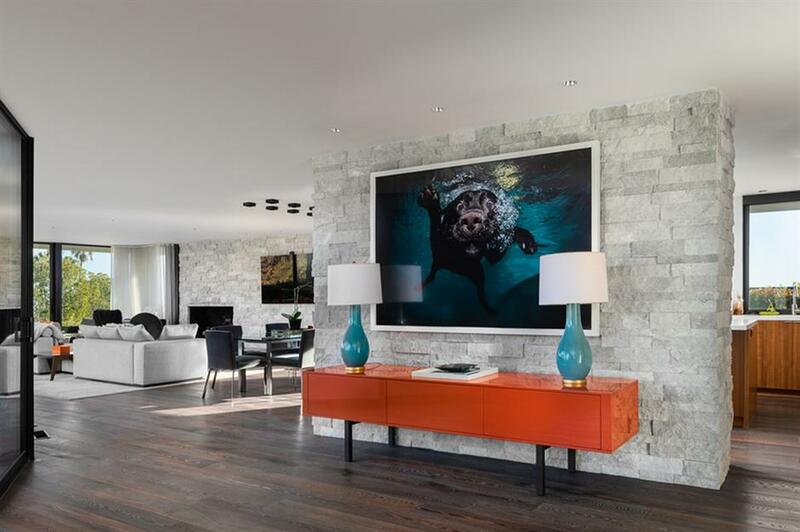 A known animal-lover, Musk also has a picture of a dog swimming underwater in pride of place! The main living areas are light and bright from the many floor-to-ceiling glass windows and doors that lead outside to the spacious garden. 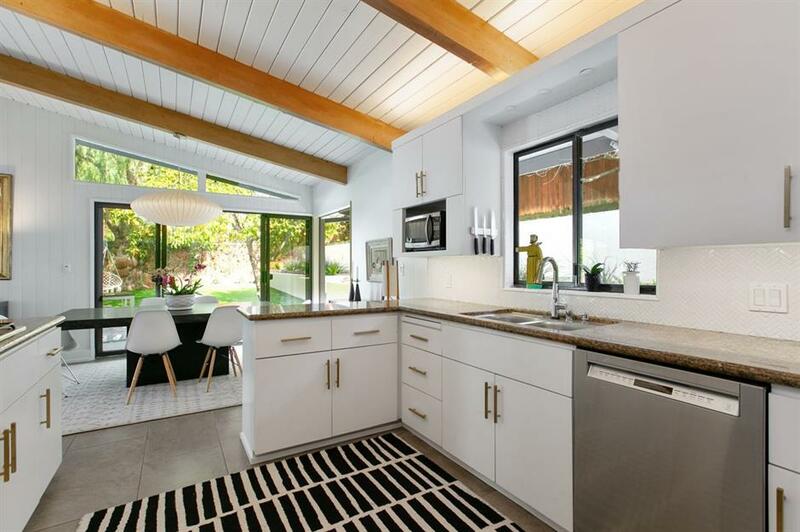 The modern kitchen sits next to the adjoining living room, mixing white gloss countertops with wooden cabinets. The wide centre island has an extended breakfast bar and some extra worktop space, which makes it perfect for sociable cooking. 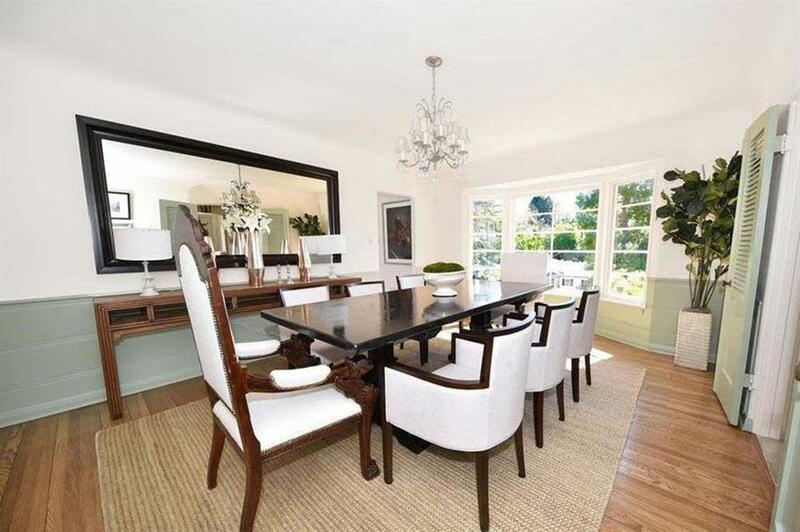 The well-lit formal dining room area separates the kitchen and living room. The stylish glass table is highlighted by the futuristic spotlights that sit directly overhead, with the picture windows beyond offering fabulous views at sunset. 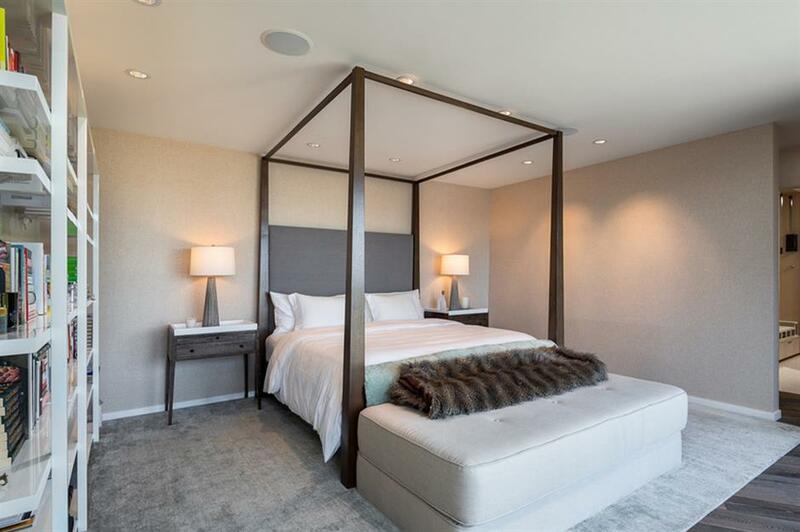 The master bedroom sits in its own private wing and isn't short of luxury amenities, with its own private sliding door that leads out to the back garden with a pool and ensuite bathroom that features a window-lined bath with a separate shower. 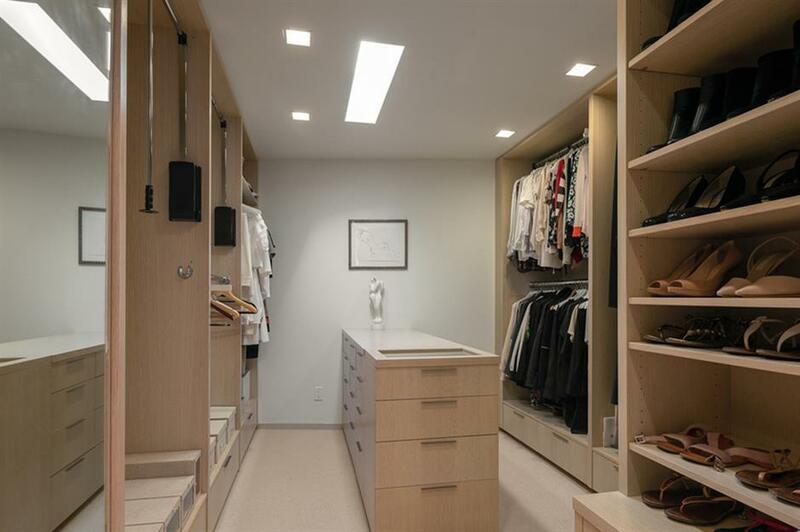 While not as over-the-top as some celebrity closets that we've seen, there's a huge walk-in wardrobe sitting just off the sleeping area. It is decked out in light wood and features a specially designed shoe rack and plenty of hanging space. The home isn't just luxurious, the tech pioneer also had it kitted out with all the latest smart features. Many of the home's integrated systems can be controlled by a mobile device including the lighting, curtains and security system. Heading outside through the expansive floor-to-ceiling glass doors, the home has a cosy lounge area with panoramic views and a saltwater pool making it the perfect place to relax in the sun. 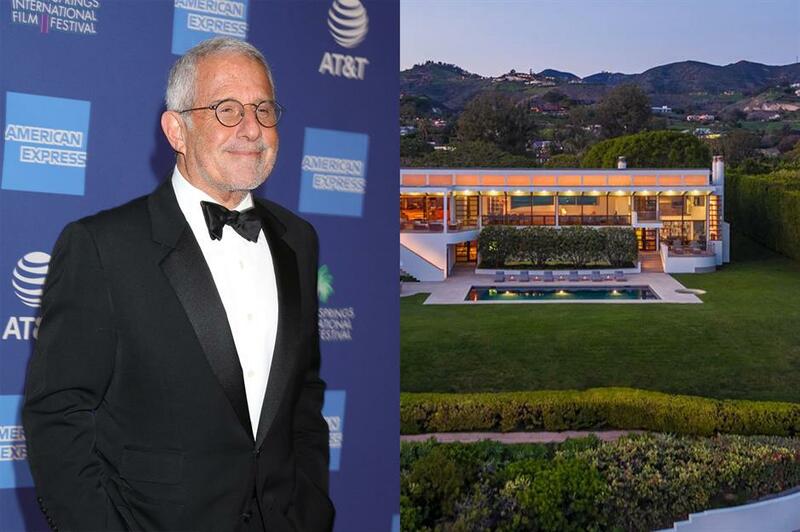 Even though the billionaire has put this property on the market, he won't be short of places to stay as he owns five other properties in the Los Angeles area. Living for these star houses? 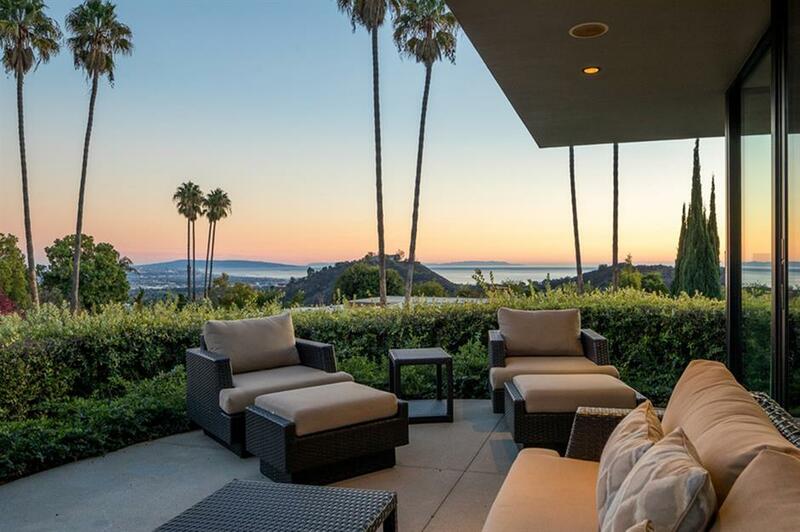 Check out these stunning celebrity homes that you could rent. 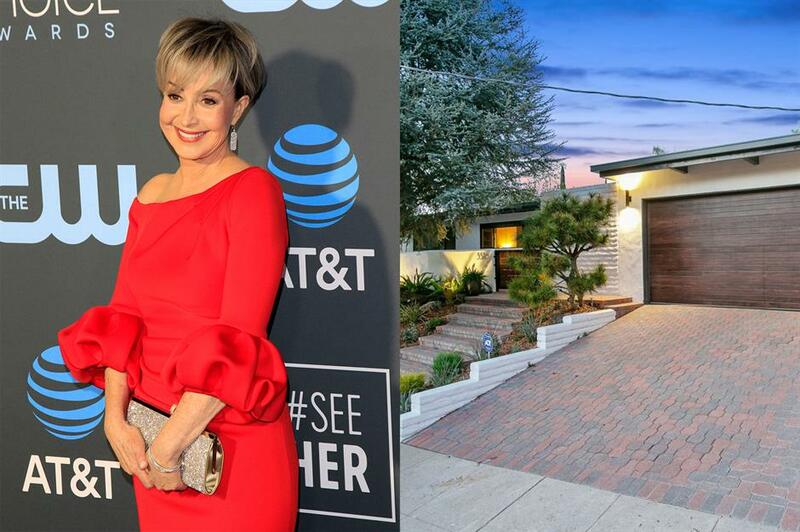 Veteran film star, Annie Potts has put her mid-century Sherman Oaks home on the market for $1.8 million (£1.36m). 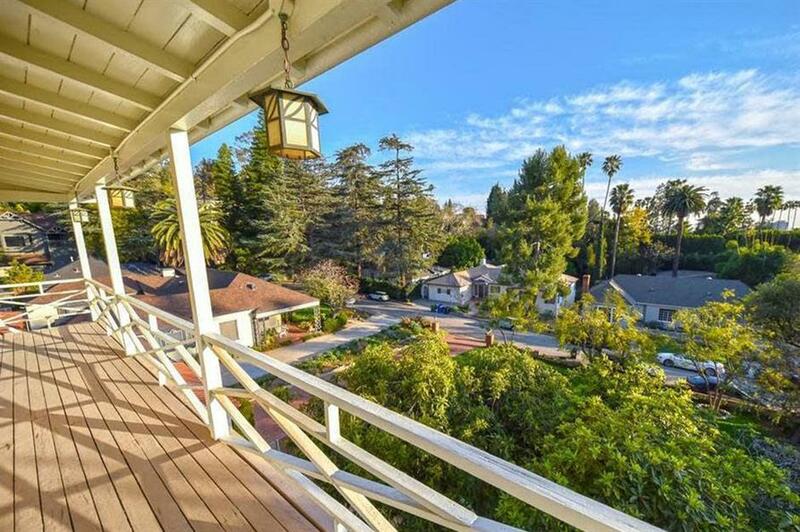 Best known for her roles in Toy Story and Ghostbusters, the actress bought the house just over a year ago for $1.6 million (£1.2m), so is selling up pretty quickly. The single storey home was built in 1955 and has three bedrooms and two bathrooms. 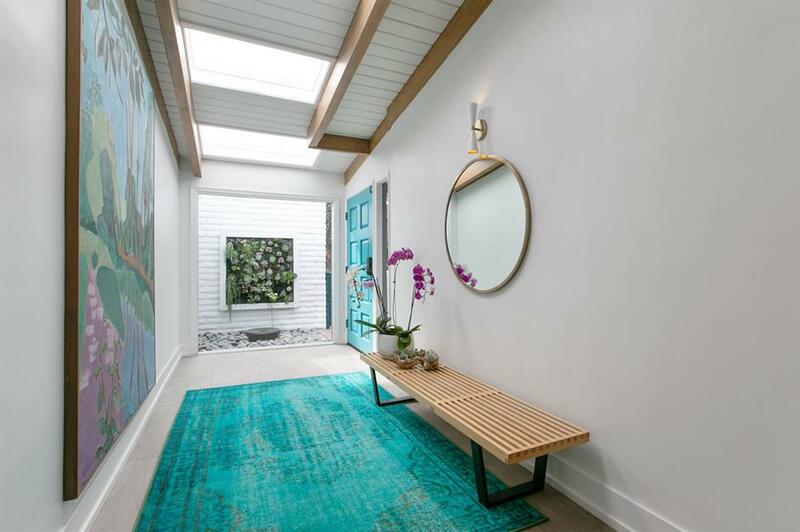 The bright and airy entrance hallway has a pitched ceiling and skylights with hits of electric blue in the rug, painted door and artwork. The l-shaped open-plan living and dining area features a huge white brick fireplace that sits under a vaulted ceiling, which has exposed wooden beams. The neutral decor has highlights of warm oranges in the soft furnishings and artwork that hangs on the walls. 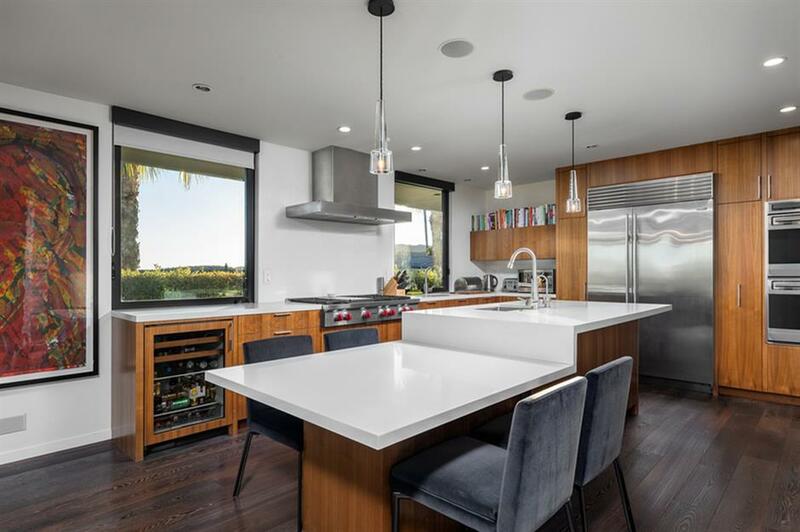 The kitchen has granite countertops and a short peninsula unit that leads to the open-plan dining area, which leads outs to the garden through the patio doors. The dark wood table sits on a stylish rug and has a statement paper lampshade above it – it's one of the loveliest celebrity homes we've seen! The master bedroom has an ensuite bathroom and a mirrored wall full of wardrobes. The sliding glass doors lead outside to the patio area complete with a garden furniture set. Decked out with all-white furnishings and hints of light wood, it's the perfect serene haven for getting your beauty sleep. Easy to maintain, the garden has been laid with faux grass and is dotted with tropical potted plants. 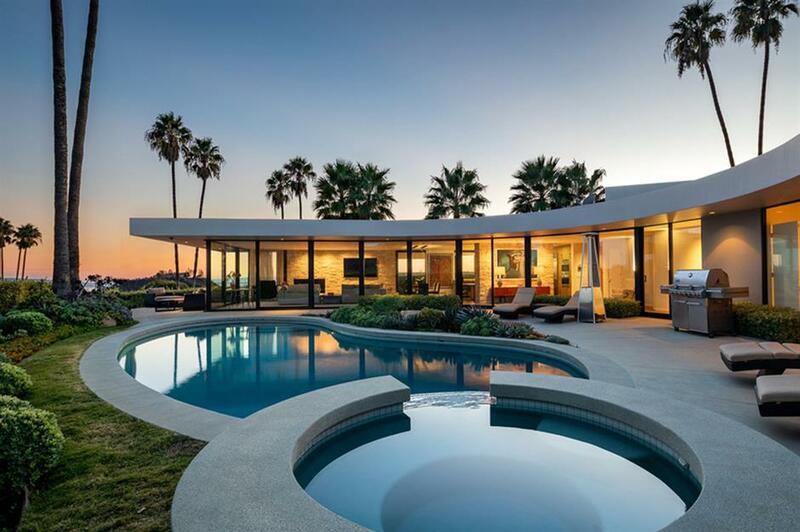 It also has a seven-sided saltwater swimming pool and a swinging seat that sits in the shade. Fancy owning your own home like this? 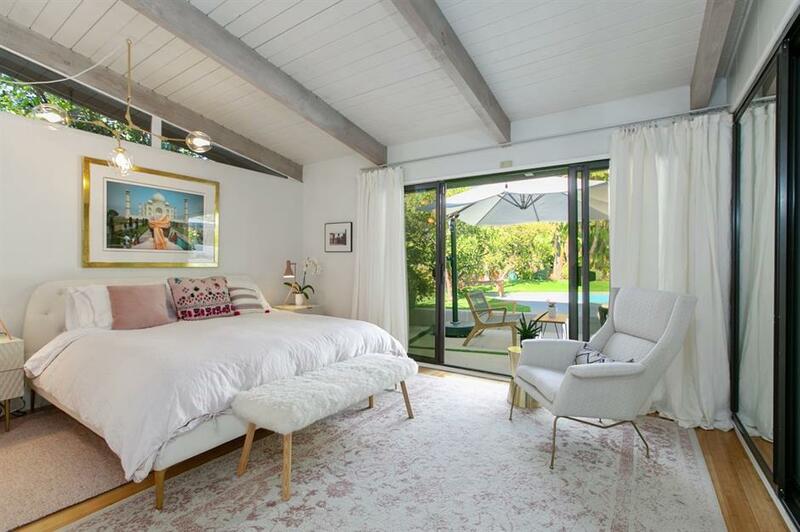 Check out these masterpiece mid-century homes for sale. 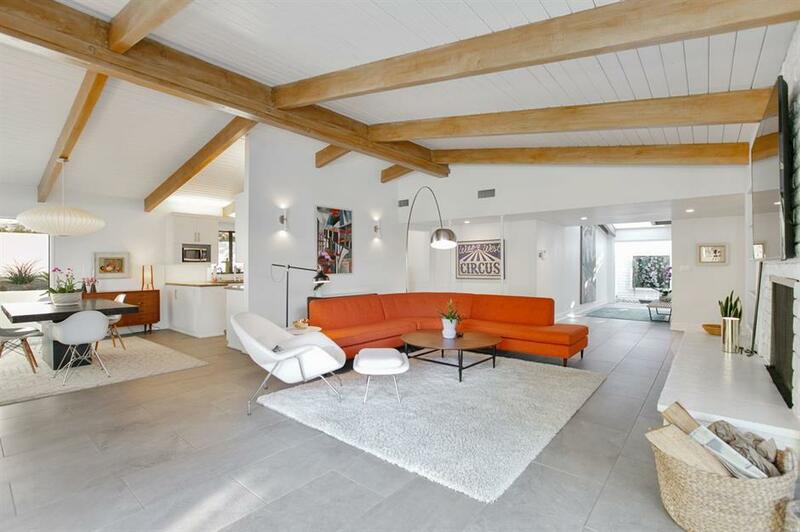 Indie music icon, Beck Hansen has put his 1930s home in the Los Feliz area of Los Angeles on the market for $2.5 million (£1.9m). 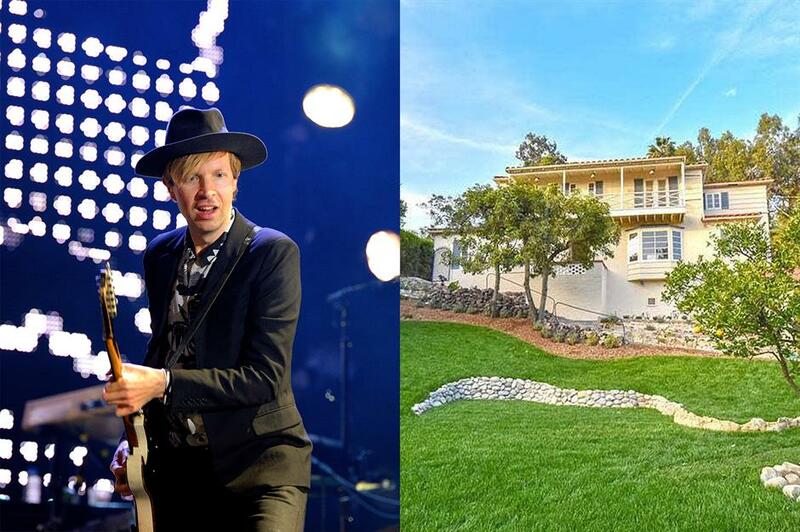 The singer, better known by his stage name Beck, and his wife Marisa Ribisi own two other homes along the same gated street. 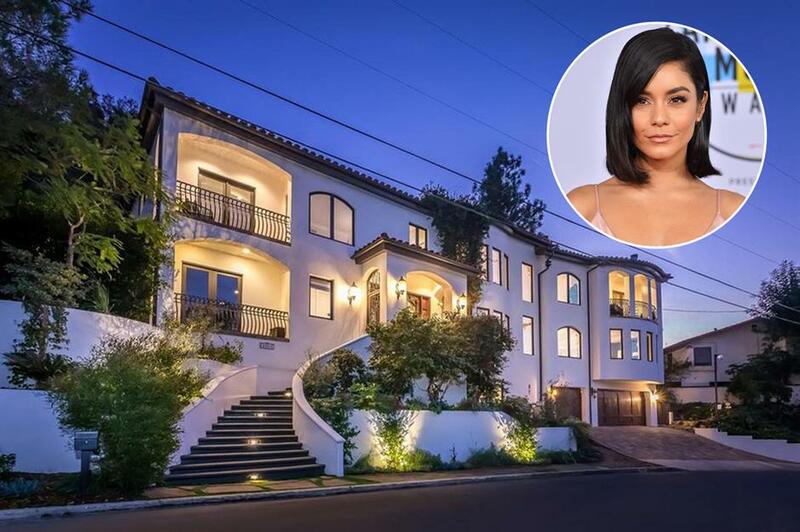 According to Variety, the couple bought the property in September 2017 for $1.82 million and have completely renovated it while preserving a lot of its original charm. 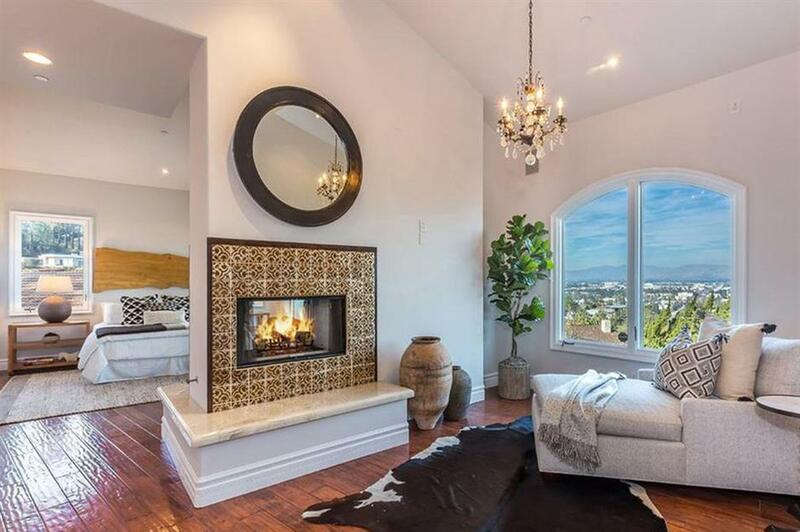 Inside, the sunny living room features a brick fireplace and wraparound windows that overlook the back yard. The formal dining room, which is next door to the living area, has a classic style with sage green shutters and a bay window. The white and dark wood dining table and chairs have a glamorous chandelier hanging overhead, perfect for hosting dinner parties. The kitchen is set apart from the rest of the house with its vintage style. 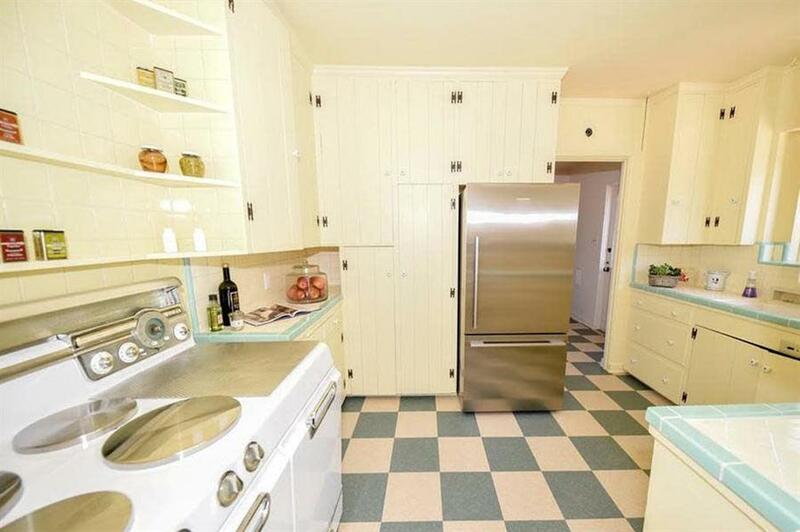 It has a restored range cooker, yellow butter and sage green coloured worktops and checkerboard patterned flooring. 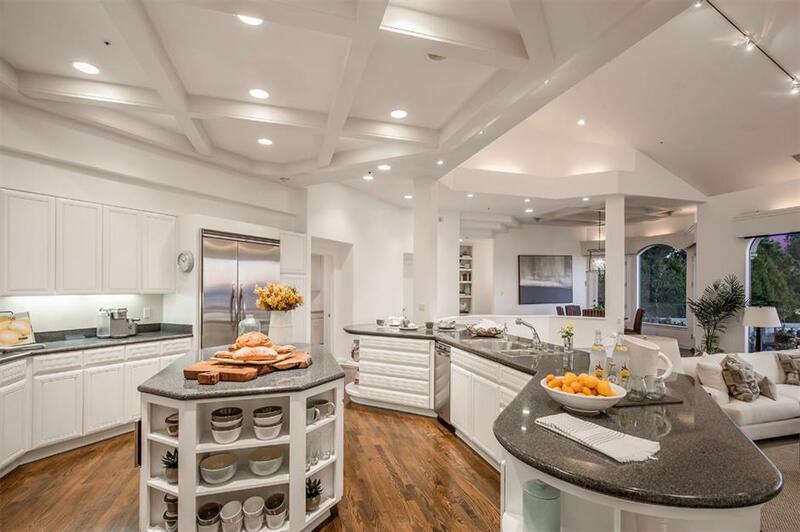 Love this kitchen? Check out these time warp homes. Upstairs are two of the three bedrooms. The master suite has a separate dressing room with two walk-in wardrobes, plus a restored bathroom with vintage tilework and a blush pink bath. Both of the upstairs bedrooms have access through French doors to the veranda, which stretches across the front of the house. The covered patio at the back of the house has a built in brick barbeque and a stairway that leads to a sports court. 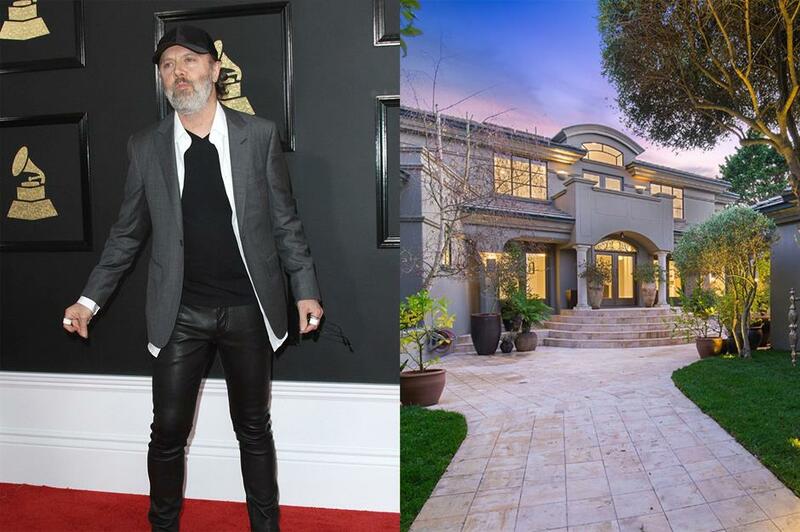 Metallica drummer, Lars Ulrich has put his extravagant mansion in San Francisco on the market for $12 million (£9m). 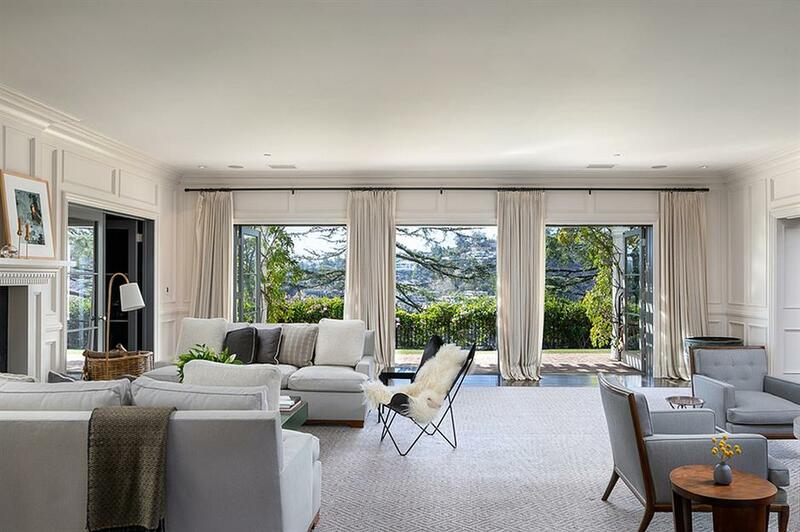 The heavy metal rock star has owned the property since 1993, and it's no wonder he felt inclined to stay put for so long – the house has 25 rooms and 13,000 square feet of living space. 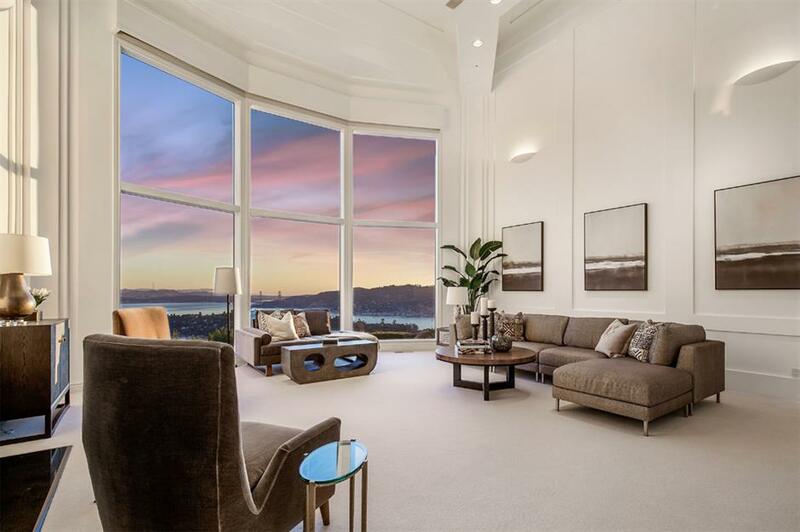 The main highlight in the spacious living room is the amazing double-height windows that overlook San Francisco with views of the Golden Gate Bridge. The furnishings are simple but luxurious with charcoal grey sofas and minimalist artwork. There's a second living space and kitchen set in an informal open-plan layout. The country-style white and grey kitchen has ample storage space and an interesting hexagonal kitchen island. Behind the counter sits the living space, which is filled with comfortable white sofas and panoramic views. 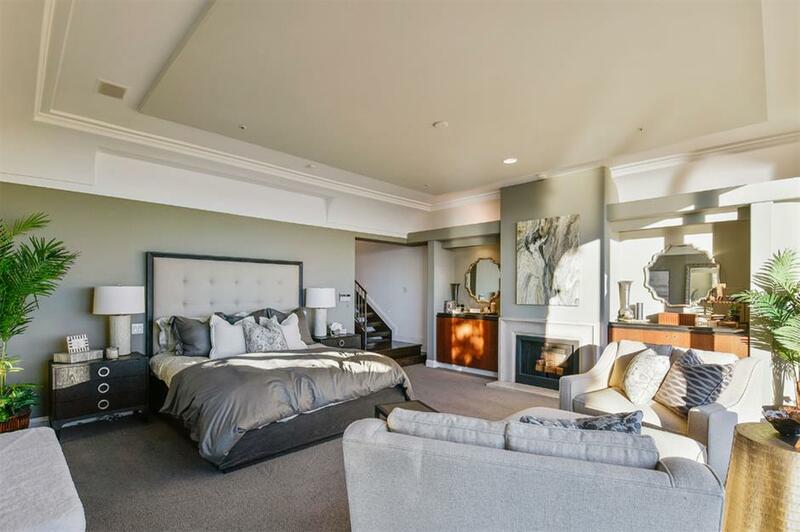 The master bedroom sits over two levels and includes every luxury amenity you could imagine including a private study, family room with a wet bar, media room, games room and a sound studio. 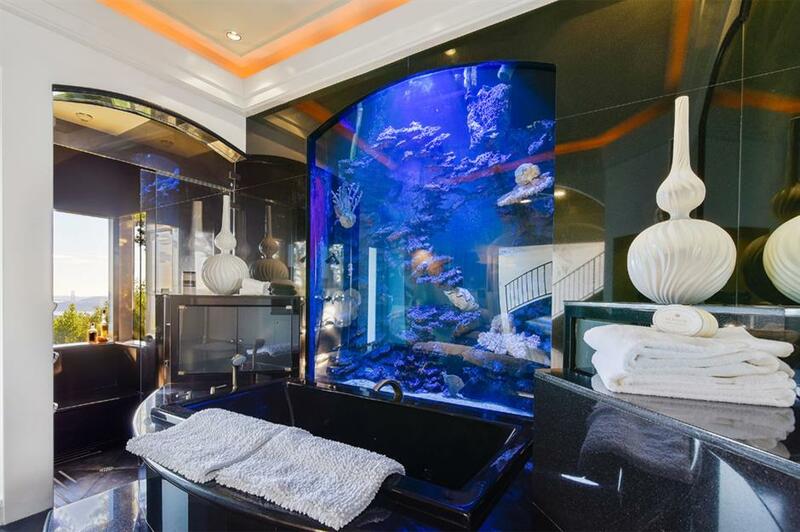 The ensuite bathroom is just as flashy with black granite walls and a huge working fish tank behind the bath. Want to see more? Check out these amazing aquariums only millionaires can afford. If all that wasn't enough, outside the home features a sports court, sauna, a pool surrounded by a stone patio and hot tub area. Since divorcing his wife, Kelly Chapman last year, NBCUniversal Vice Chairman Ron Meyer has put his Miami mega-mansion on the market for $125 million (£95m). 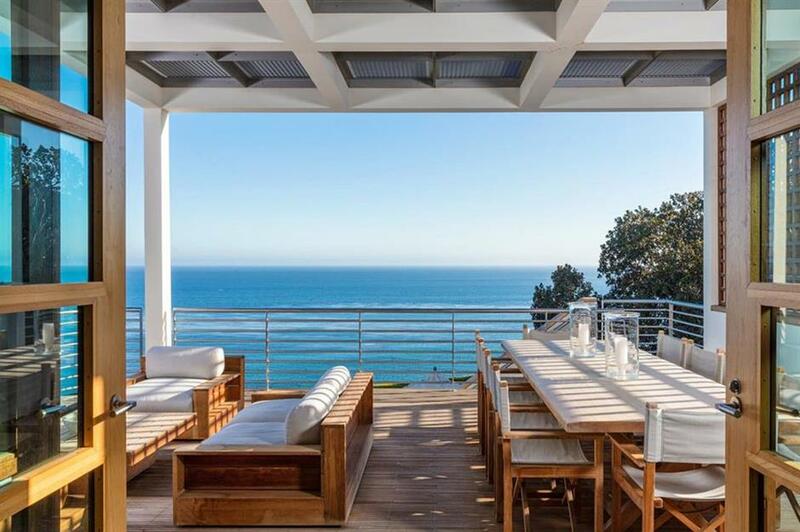 Sat in three acres of private land, the home is perched high on a bluff above Malibu's picture-perfect Paradise Cove. The property was designed in the 1990s especially for the Meyer family and has been their home ever since. 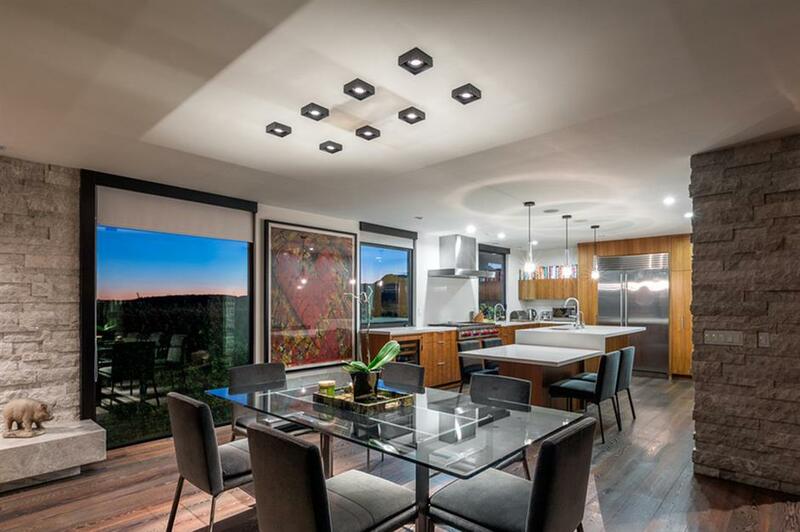 The combined living and dining area has a double-height ceiling and clerestory windows that fill the space with natural light. 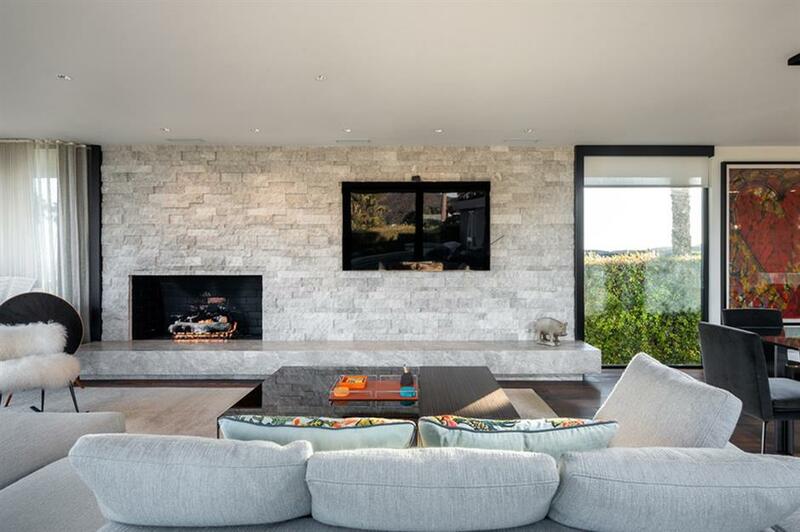 The enormous wall of glass gives panoramic views of the ocean and coastline, while the minimalist fireplace is perfect for the colder weather. When you're as wealthy as the Meyers. you're free to indulge in your whims, maybe that's why there's what looks like a Samurai suit in the corner! 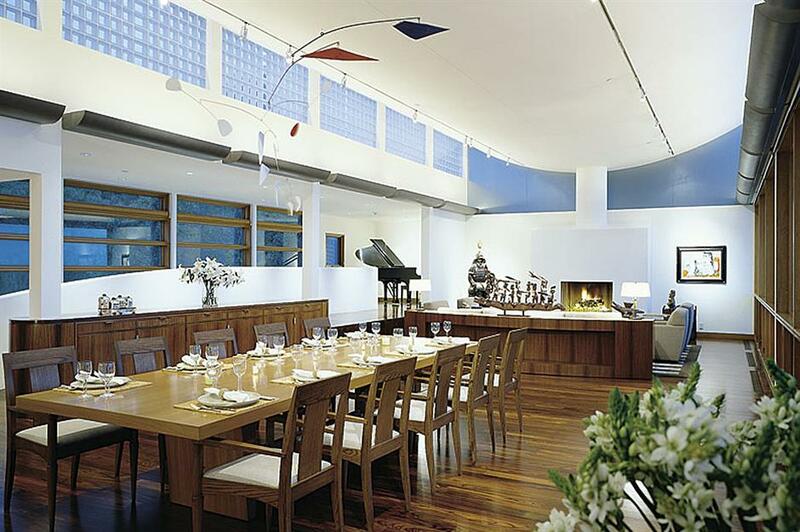 The kitchen opens out to the dining area, with a 10-seater table positioned under a suspended sculpture by famous artist Alexander Calder. 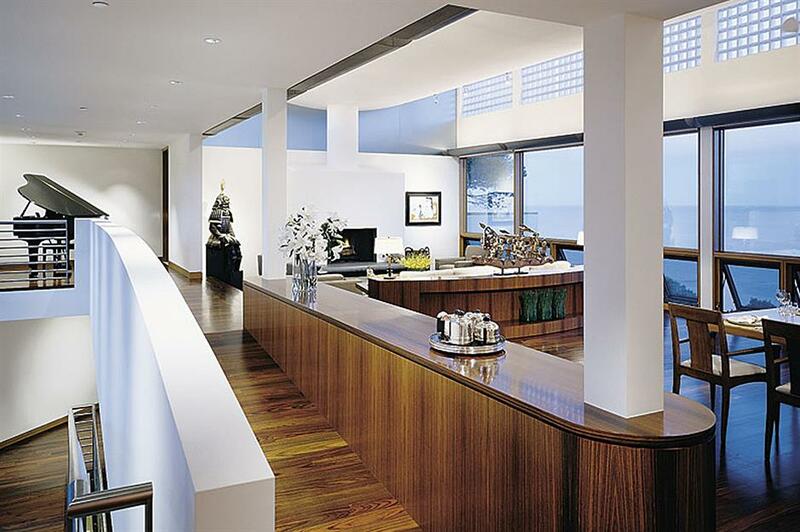 A bespoke wooden sideboard separates the space, with a seating area that leads outside to an elevated terrace above the pool. There's also a professional grade home theatre for movie nights. The house sits at the end of a picturesque tree-lined driveway with a private gate which provides entry to the house. 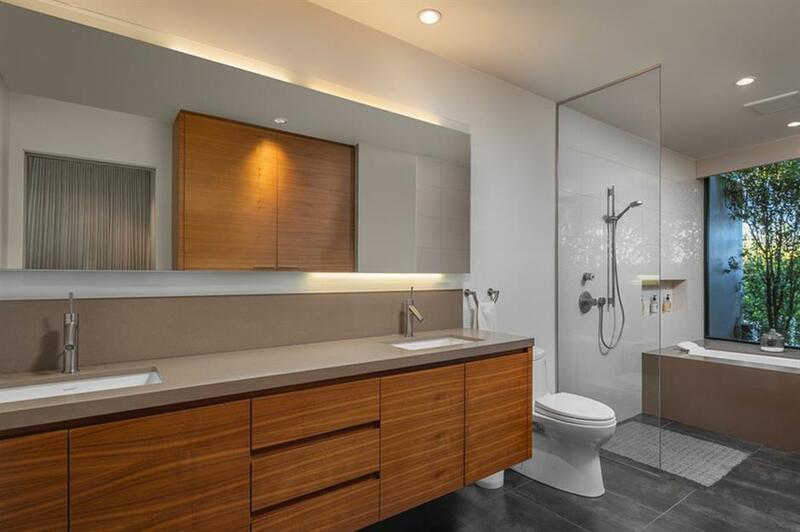 There are six bedrooms and seven-and-a-half bathrooms in more than 13,600 square feet of space. Outside, the swimming pool sits alongside the spa house and lit tennis court, as well as a set of private set of stairs that go down to the beach. 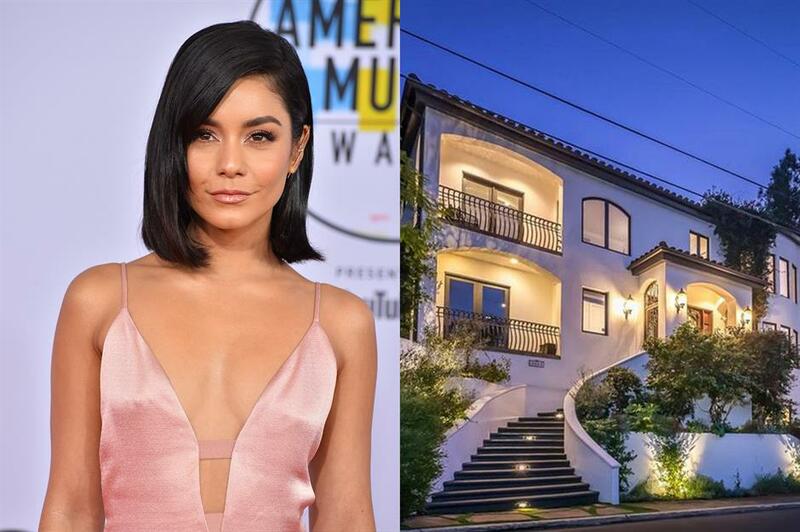 Vanessa Hudgens has put her Mediterranean-style home on the market for $3.9 million (£2.9m). 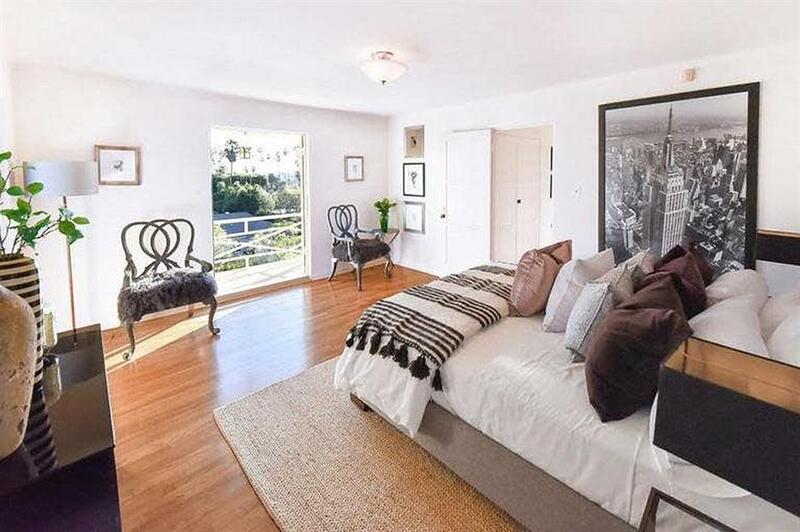 The star bought the property in 2008 for $2.75 million from actor Gary Oldman and has since spent time renovating it to make it the stylish home it is today. Inside, the formal sitting room has a double-sided raised hearth that is shared with the dining room. The cosy space has highlights of red in the colour scheme and a marble fireplace. 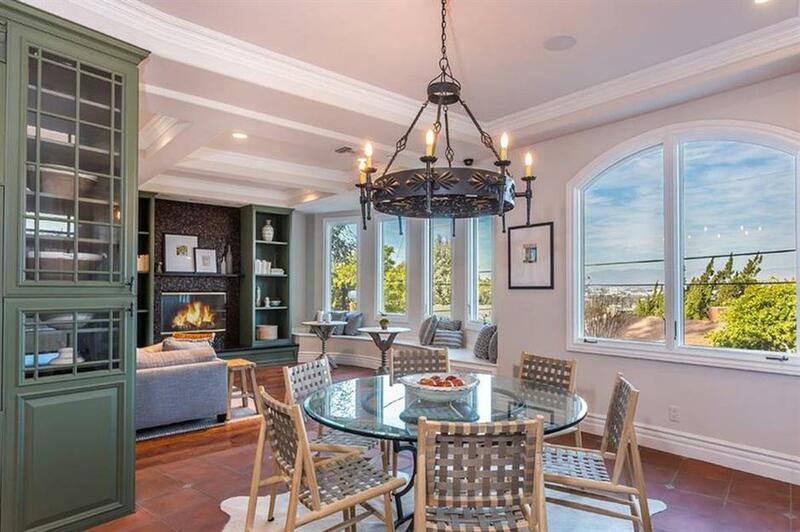 The informal dining area, which also has a relaxing living space, has a sociable round glass table and a gothic wrought iron chandelier hanging overhead. 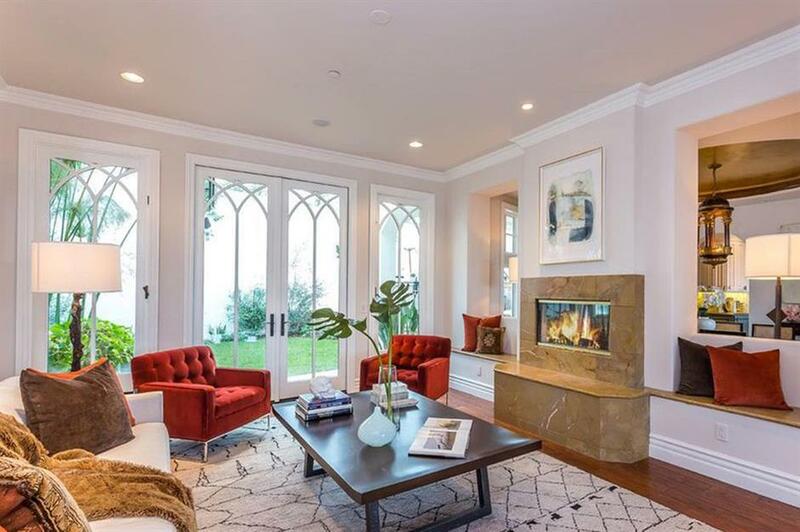 The arched windows have open views across the San Fernando Valley. 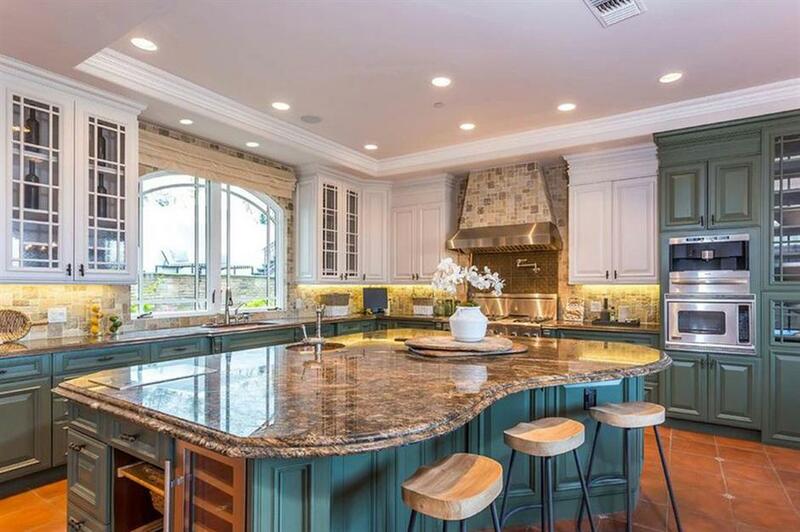 With mottled brown and tan granite countertops and a mix of white and jade green cabinetry, the high-end kitchen is well-equipped with modern appliances. The spacious master suite has a tile-accented double-sided fireplace which divides the bedroom from the cosy sitting room. 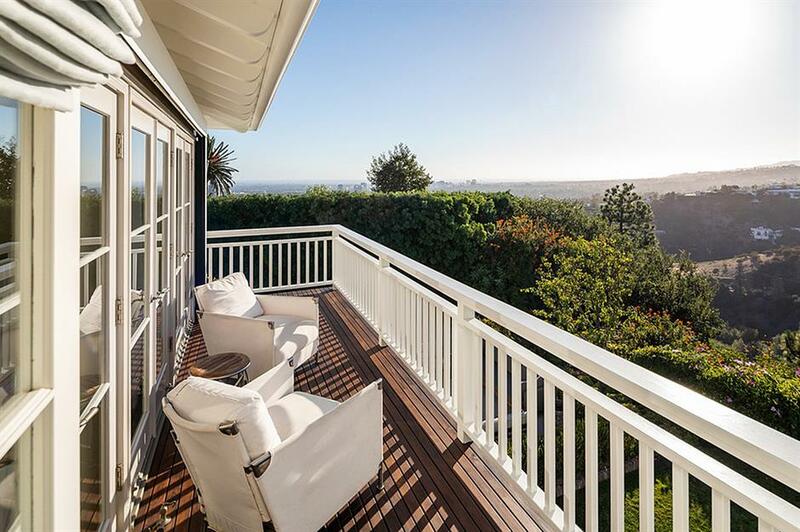 From there doors open onto a private terrace with sweeping views across the valley. There are five other bedrooms in the property, most of which are ensuite. The back garden has a small patch of lawn, two loggia spaces and multi-level terracing, which is situated around a lagoon-style swimming pool with a waterfall and spa. 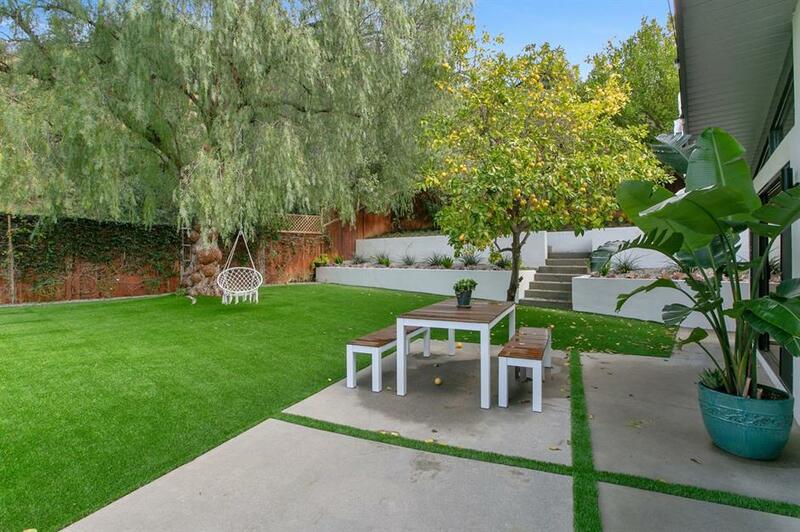 Love a luxury garden? 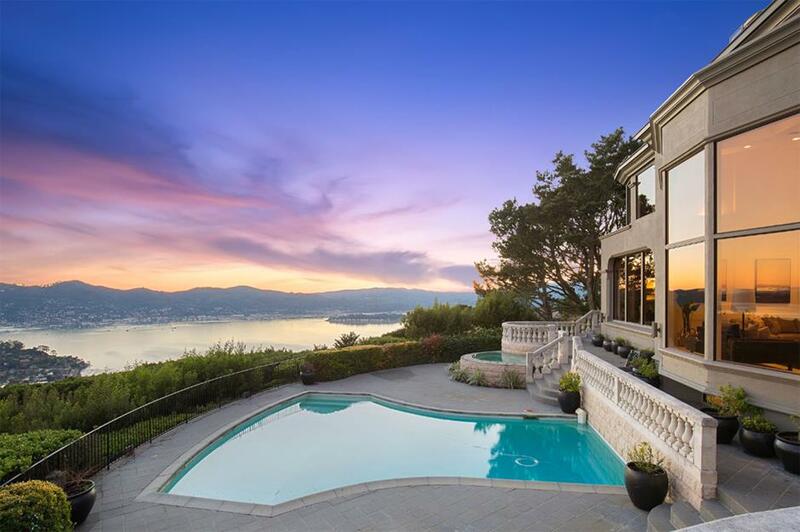 Check out these incredible billionaire backyards.